Many people wonder about the safety and efficacy of diet supplements. While asking, "Are diet supplements safe?" is a valid question, the answer largely depends on a number of factors about both the supplement and your personal health. When evaluating the safety of diet supplements, it is essential that you take your overall health picture into account. In 33 states across the United States, the prevalence of obesity is higher than 25 percent, showing a significant rise in obese Americans in the past 20 years. Other Western countries have experienced similar rapid rises in the incidence of obesity. With that in mind, many consumers seek to assert control over their weight by taking some sort of a diet supplement. Manufacturers have complied, and the marketplace is rife with products that claim to be a weight loss panacea. Does the FDA Certify Dietary Supplements? Are Vitamin Supplements Safe for Children? Safety is relative in this case. Because the supplement industry remains unregulated, the quality of the ingredients may be suspect. In the United States, a supplement can go to market with only manufacturer oversight, and the government will become involved only after the supplement has hit the market and people have begun experiencing adverse side effects. This is what happened with the 2004 ban of the popular diet supplement, ephedra. It appeared in many weight loss products, and the government was not able to affect a ban until after many people had suffered cardiac damage or even died from the supplement. Additionally, very few long-term, peer-reviewed, controlled, scientific studies exist showing either the safety or efficacy of many of the ingredients touted as the next weight loss miracle. With that in mind, the level of safety may vary according to the diet supplement. For instance, current concerns exist about bitter orange, a popular diet supplement additive that is eerily similar to ephedra. Another concern about diet supplements is that they may be contraindicated for certain health conditions, or they may have adverse interactions with medications. For instance, a simple ingredients such as fiber from psyllium or glucomannan may interact with thyroid medication and render it inactive. Likewise, chromium may interact with beta blockers, corticosteroids, insulin, and other drugs to amplify the effect of those medications on the body. Additionally, people with heart conditions or high blood pressure may interact negatively with guarana and bitter orange, and those with shellfish allergies may have a severe allergic reaction to chitosan. The acai berry supplements are a good example of all of the above practices. Medical websites, such as Web MD may have good information. The Complaints Board is a database where a number of consumers go to share their experience with things like diet supplements. Go to the link above, and enter the name of the diet supplement you are considering in their search box. The Federal Trade Commission features information about weight loss scams and consumer complaints. Google can be your friend if you use the right search terms. 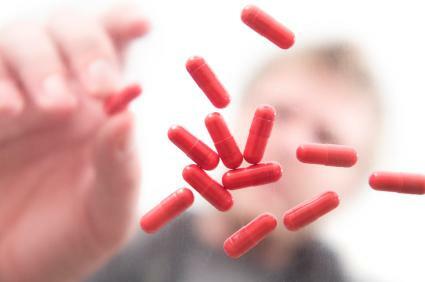 While a Google search of the supplement name may turn up all of the aforementioned web pages set forth by the manufacturer, if you search the product name and the term "scam" or "complaint," your search results may tell an entirely different story. The bottom line is this. If you are trying to lose weight, the best way to do so is through a combination of a healthy diet and exercise. To date, no magic pill exists that will make you drop pounds without any effort on your part. Some of those magic pills may be dangerous to you. Even if you have friends that take the supplements and don't have problems, it doesn't mean that you won't. Your individual health picture may be different than theirs, and certain ingredients may affect you adversely. If you absolutely feel you must take a weight loss supplement, never do so without going over the ingredients with your doctor, and discontinue the product and seek medical attention if you experience adverse effects. Losing weight requires more than a miracle supplement; however, by following the principles of a healthy diet and pursuing appropriate activity, you can lose weight without having to resort to taking potentially dangerous pills.